PSRS started with, and continues to operate by the belief that people with developmental and intellectual disabilities should be connected to, and participate fully in their communities, engaged in activities that bring them satisfaction, and contribute positively to society. Nearly 35 years later, this belief is still at the core of PSRS’ mission. Meeting a broad range of needs, PSRS enables individuals to find stable housing opportunities, receive assistance with personal and health care, financial management, household maintenance, and access other community based services/activities. Staff ensure each individual remains safe, maintains stable physical and mental health, strengthens daily living skills, and has an opportunity to experience life outside of their home. PSRS’ supported living services are designed to meet each individual’s needs, supporting independence in areas where one excels and providing intensive supports in areas where their need is higher. For some, supports are as basic as a daily check-in by a PSRS staff member; for others it may mean 24/7 intensive one-on-one support. All PSRS services are implemented to ensure individuals meet their basic activities of daily living, as well as accomplishing larger life goals. We encourage all individuals we support to ask the question: What do I want in life? The answer to such a big question varies, depending on the individual, but it is one that we believe is vital, one that takes time to answer and that helps us provide the most effective support. For some, this means learning to take public transportation, establishing a healthy relationship, or pursuing an education; for others it may be increasing skill and independence in self-administering medication, or managing finances. In addition to offering resources to individuals to help ensure they have safe, clean, and comfortable places to call home, PSRS supports individuals in the following broad areas: communication, financial management, mental and physical health, dietary and exercise needs, household maintenance and chores, and social activities. 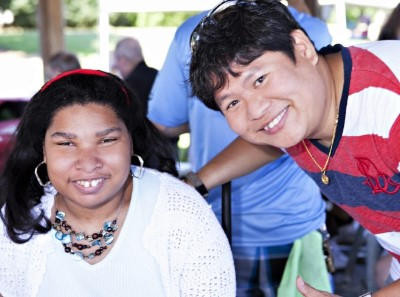 Individuals with intellectual and developmental disabilities deserve to receive services that enable them to lead fulfilled lives through choice and experiences, with caring support. Families deserve to know their loved one has a home, a community, and a team of people dedicated to their success. PSRS is committed to ensuring the stability of current programs, and expanding services while making quality care our highest priority.